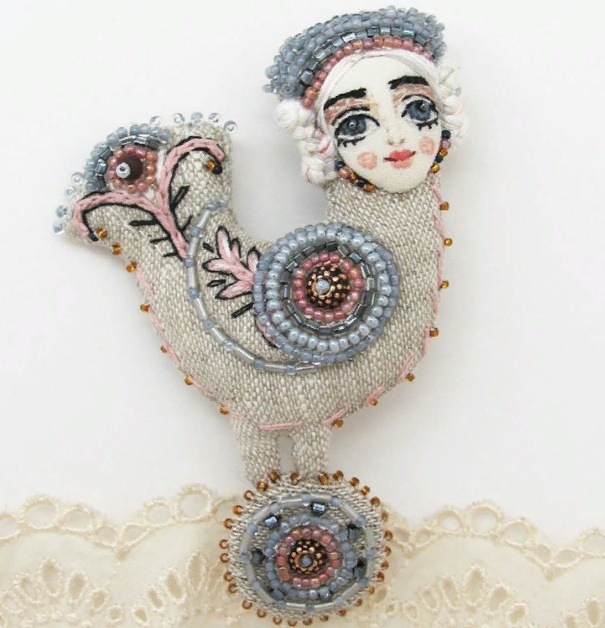 Moscow based jewelry designer and artist of applied art Maria Knutova (aka Marisha) creates fabulous decorations based on Russian folklore and mythology. 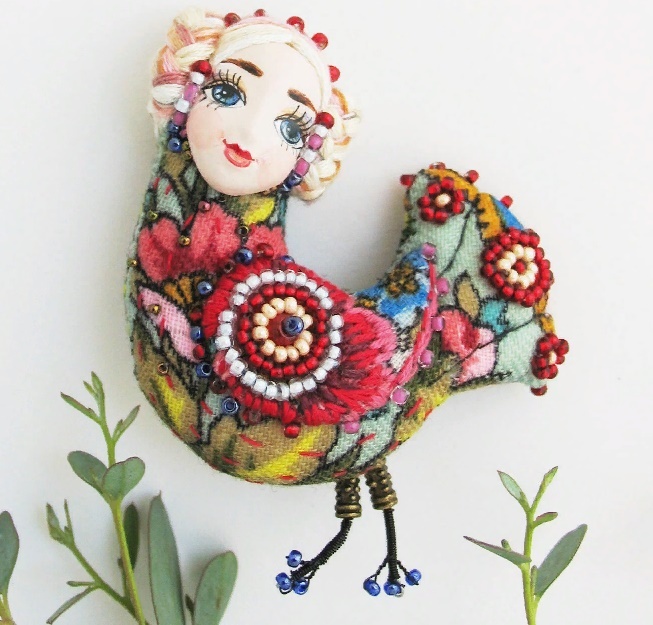 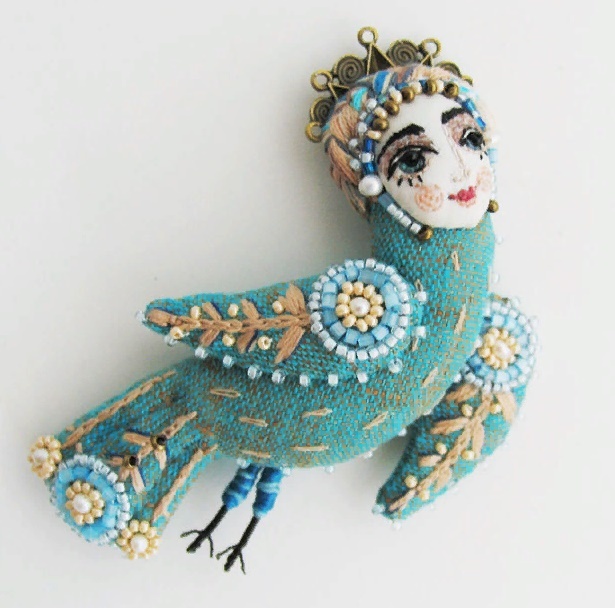 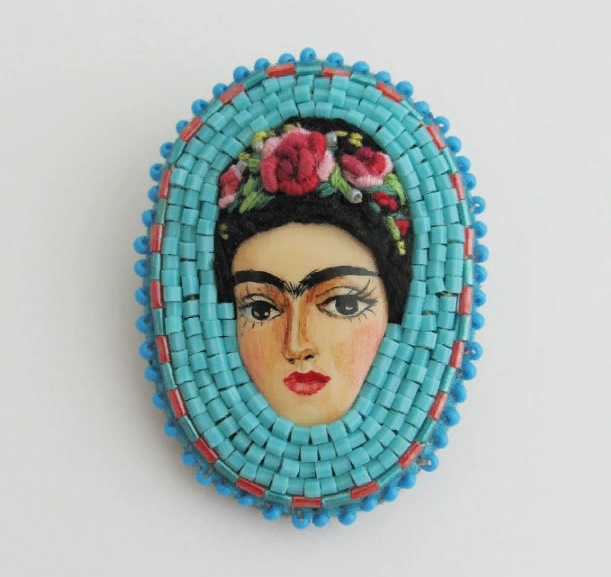 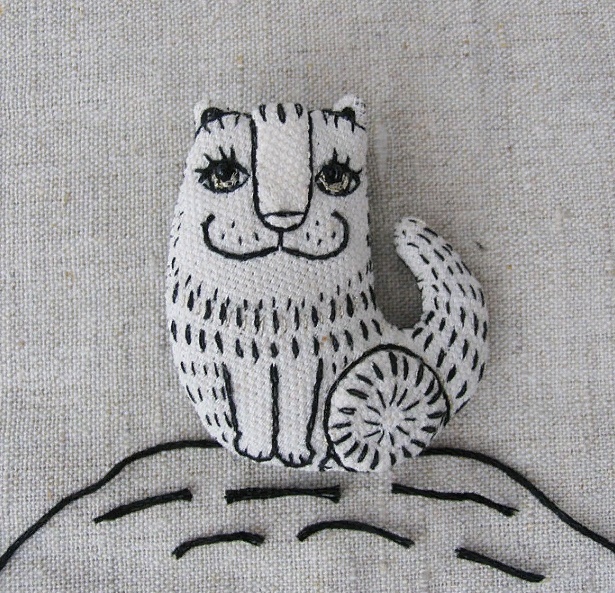 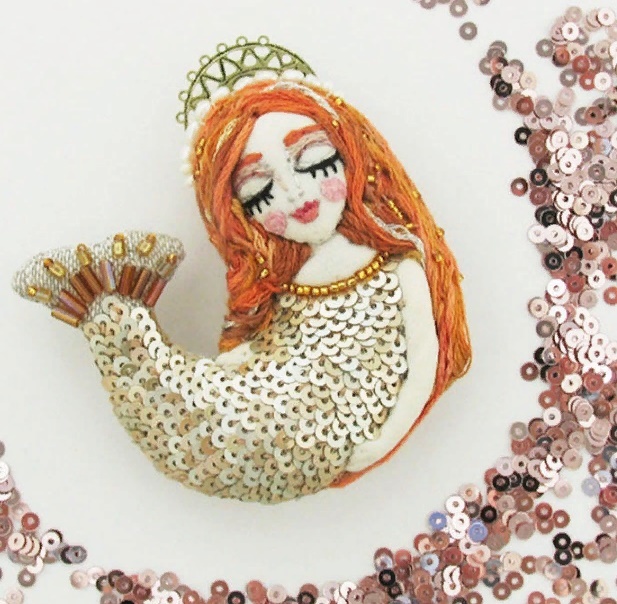 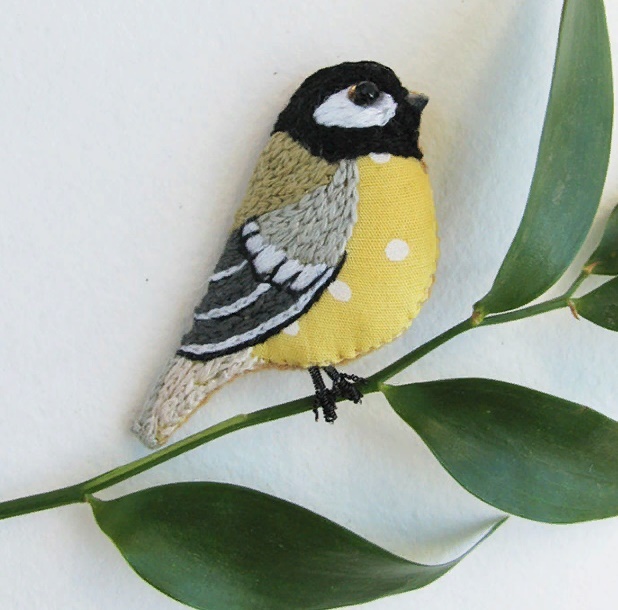 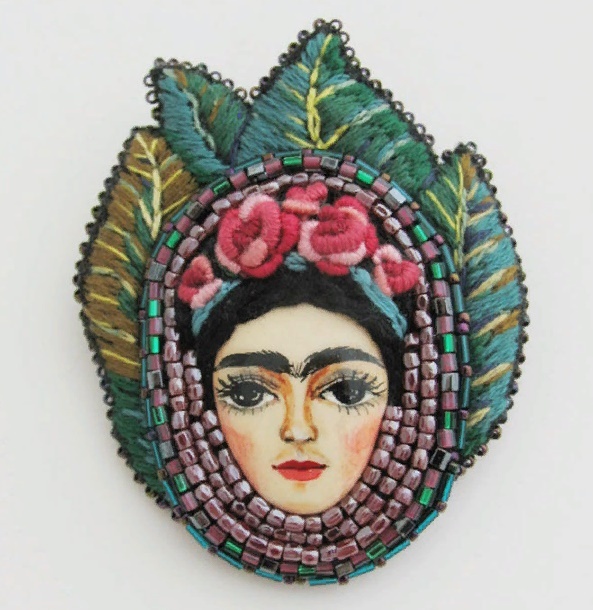 In her gallery – stunning embroidered brooches depicting a beautiful woman with the body of a bird. 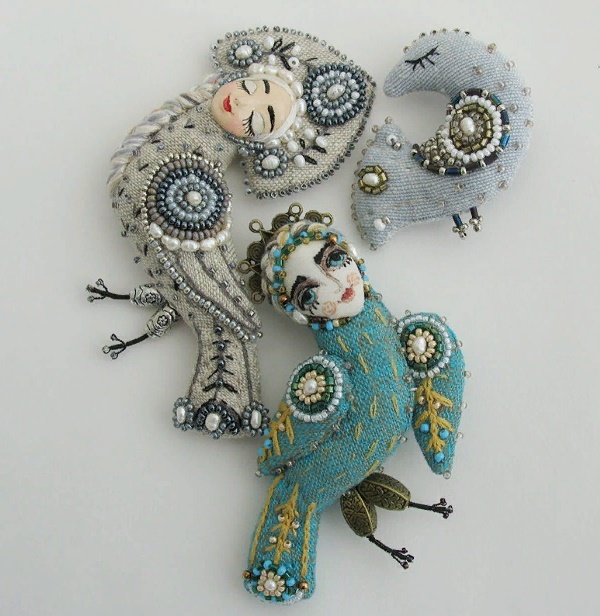 In Slavic and in particular, Russian mythology, these are mythological birds Sirin, Gamayun, and Alkonost. 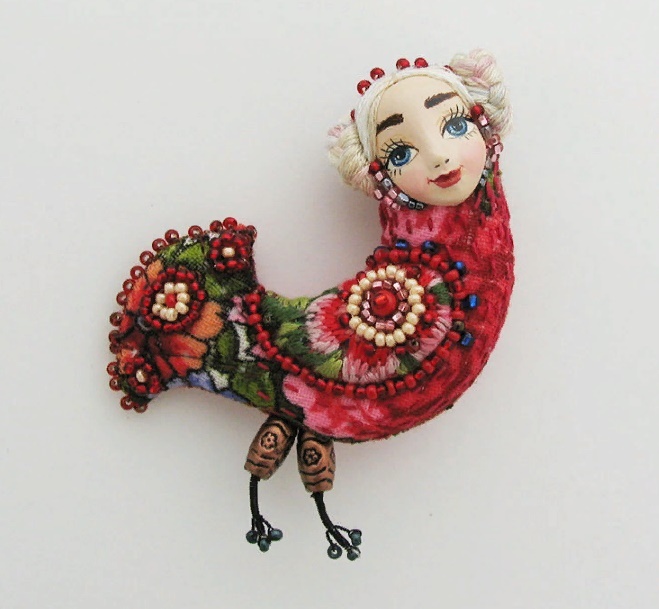 According to Maria Knutova, she is a miniaturist artist by education, and a sham decorator by profession. 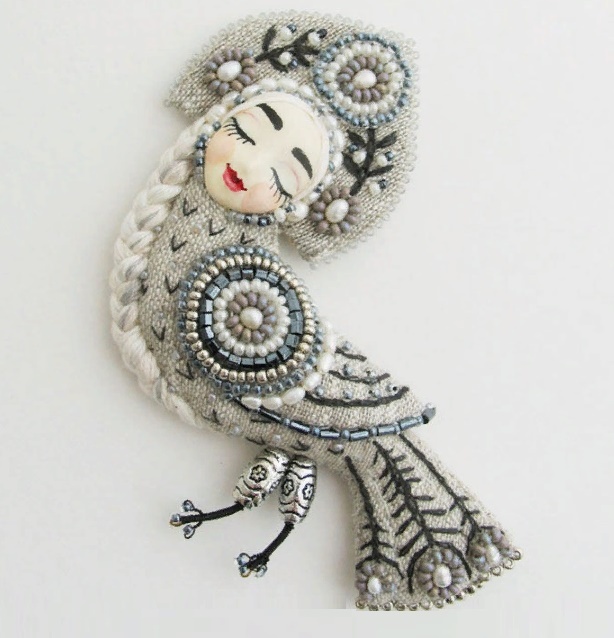 In general, an artist of applied art. 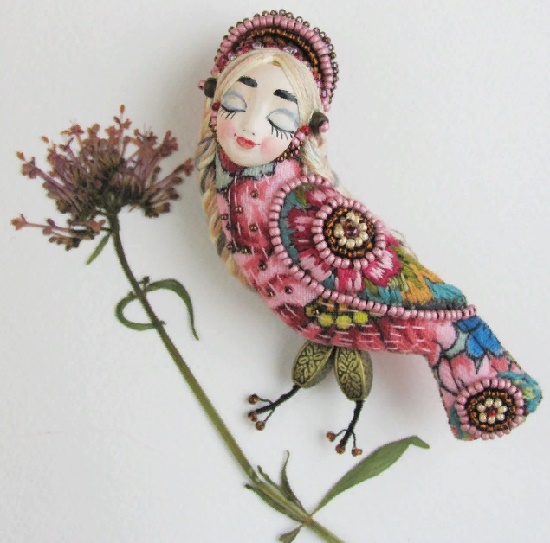 Noteworthy, each work created by Maria Knutova is unique and can’t be repeated exactly. 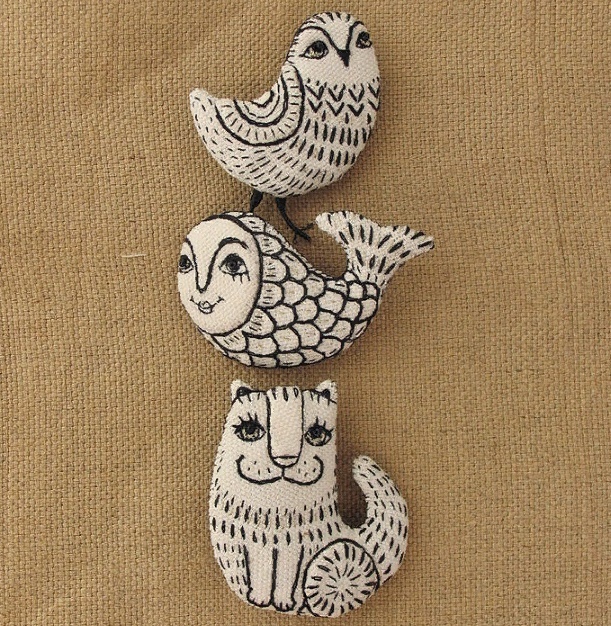 However, the variations of each item are no less beautiful. 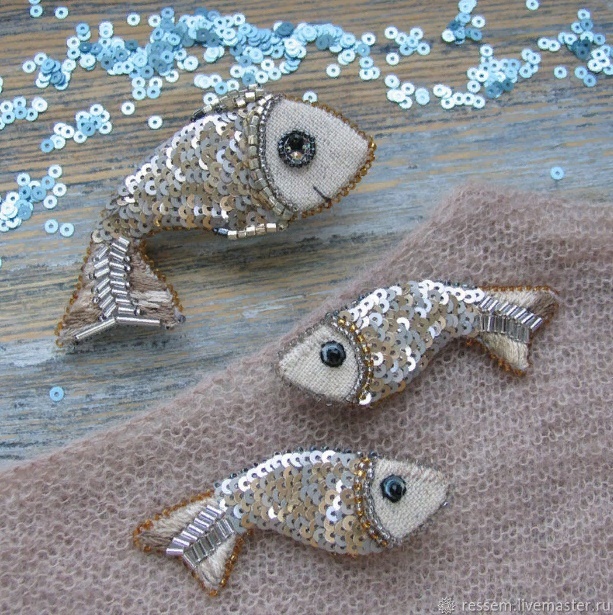 To create her brooches the master uses high quality textile, beads, sequins, freshwater pearls and thread. 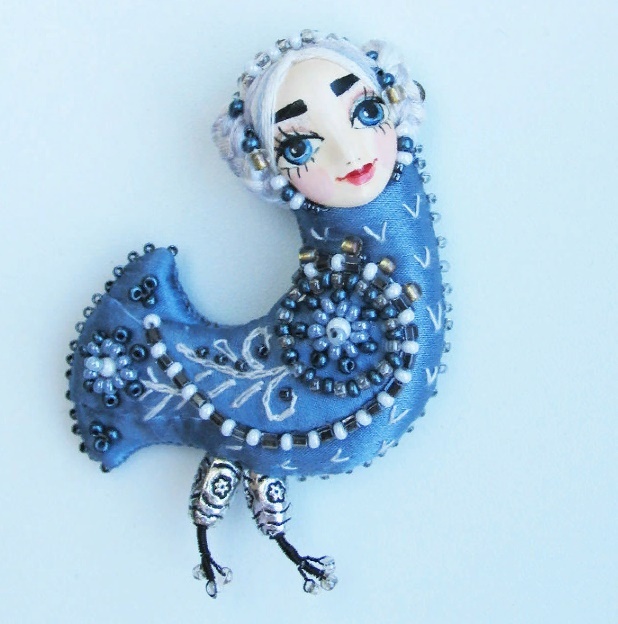 Also, she uses polymer clay, lacquer, watercolors and pencils. 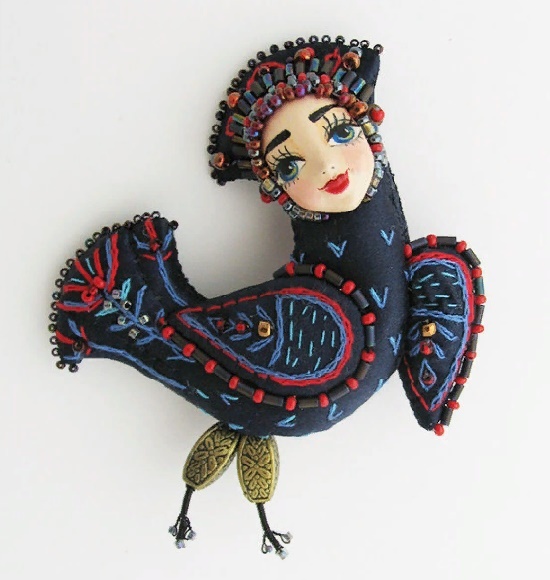 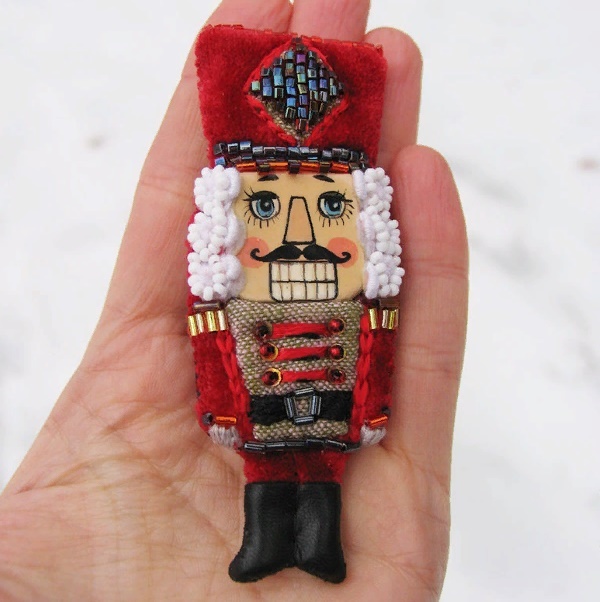 According to the artist, she works in various techniques – jewelry, dolls and toys, papier-mache, plastic, painting, and applique.